Here is a brief excerpt from an article written by Dan Goleman and featured by LinkedIn. To read the complete article, please click here. What can a manager do to optimize team creativity? And what do they do commonly that squelches it? I spoke with Harvard’s Teresa Amabile for my Leadership: A Master Class video series about innovation in the workplace. Here’s what she recommends managers do to support creativity in organizations. “One of the most important things managers can do is set clear goals for a project. Letting people know where it is they’re going, and why it matters in the grand scheme of things. At the same time, managers need to give people some autonomy in what they’re doing. You know about the famous 15% rule at 3M. Google, I think, has a 20% time rule. This is essentially protecting time for people to pursue projects that are really interesting to them. This is autonomy. This is feeling that you have a real sense of control over your own work and ideas. Some of the most creative ideas come out of that time where people feel that they have autonomy as long as they have a clear sense of what they’re trying to accomplish. To watch my conversation with Teresa in my Leadership: A Master Class series, please click here. 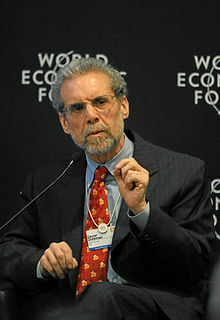 An Emotional Intelligence author, Dan Goleman lectures frequently to business audiences, professional groups and on college campuses. A psychologist who for many years reported on the brain and behavioral sciences for The New York Times, he previously was a visiting faculty member at Harvard. Goleman’s most recent books are The Brain and Emotional Intelligence: New Insights and Leadership: The Power of Emotional Intelligence – Selected Writings. (More Than Sound). Dan’s latest project, Leadership: A Master Class, is his first-ever comprehensive video series that examines the best practices of top-performing executives.